Breakfast lover?, Gatlinburg, TN is the place for you! The Best Breakfast is in Gatlinburg. 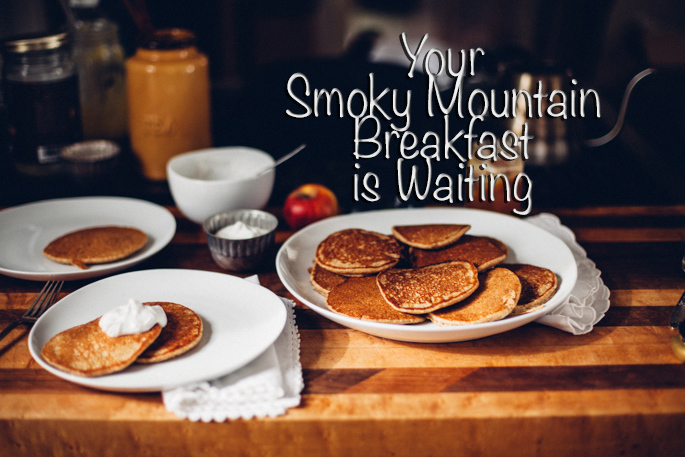 The Smoky Mountain area is filled with more pancake houses and breakfast restaurants than just about anywhere else in the country. If you are looking for a breakfast place with the whole “fun mountain lodge atmosphere”, please, wake up early and take all your hunger right up to Crockett’s Breakfast Camp. Its griddle cakes are famous because they’re particularly extra thick and fluffy kind of pancake. Another of their iconic breakfasts are their skillets filled with eggs and meats served in the cast iron skillets they were cooked. Portions are huge! So you’ll start the day full of energy! Not only looking for excellent breakfast options but a little history too? The Pancake Pantry is the place you must visit. opened, it must be reaaally good, right? Real butter and fresh whipped cream are some of the best features of their great pancakes and the Swiss Chocolate Chip Pancakes, Sugar N’ Spice Pancakes (made with cinnamon) and Pigs in a Blanket Pancakes (sausages wrapped in hotcakes) are so amazing they’ll make you come back for more! Something important: bring cash. This is their only payment method. When you visit Log Cabin Pancake House, you take a nostalgic step back in time to when life was simpler, meals were hearty and the people were friendly and sincere in their willingness to be helpful to those they meet. Log Cabin Pancake House offers you omelets, country ham, biscuits, grits, and, of course, pancakes and it is in the top three of “Best Breakfast in Gatlinburg” thanks to dishes like their French Toast Royale, which is topped with bananas and a homemade cream cheese sauce you will love. Even though they are famous for its BBQ dinners, the selection of the breakfast buffet is awesome. 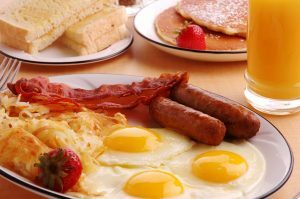 There is something for everyone, including scrambled eggs, sausage patties, bacon, oatmeal, pancakes, grits, muffins, biscuits, and fresh fruit. The service is always on spot and they refill the items very quickly keeping them hot and fresh, a great value. And if you like it and you want to try something of their signature smoked meat that makes you come back for dinner, try their BBQ pork, also served in the breakfast bar! This place smells so divine, your mouth will come into the water when you take your first breath. It is one of the most popular places to have breakfast in Gatlinburg, for over than 40 years, offering options like donuts, freshly baked cinnamon bread and wonderful coffee. It opens really early and offers free parking representing an excellent option for those who like to start the day before the Sun, however it doesn’t accept credit cards. In this considered hidden gem located in Wears Valley, everything is homemade and prepared to order. It’s like home cooking without you washing the dishes and cleaning up the kitchen! If you are not the type of person who likes to wake up or have breakfast so early in the morning, Mel’s Classic Diner is perfect for you because they serve breakfast all day long, so you can enjoy pancakes and french toast for lunch or even dinner! Mel’s offers a fun 50s-inspired atmosphere and fans of the classic TV show Alice will appreciate the staff’s “Kiss My Grits” T-shirts. Ok, take a look at this: Some of the fantastic items on the Farmhouse menu include the Banana Fosters French Toast, Hershey’s Chocolate Chip Waffle, Western Omelet, and the Spiced Apple Crepes, isn’t that enough? One of the things that makes it so popular is they make everything from scratch, from its pancake and crepe batter to its syrups. The peanut butter syrup, in particular, is one of the most reviewed. 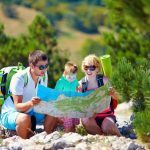 On the search for gluten-free and healthier breakfasts while on vacation in the Smoky Mountains? Flapjack’s Pancake Cabin offers healthy options and gluten-free pancakes and waffles, and the best part…. They’re really good! 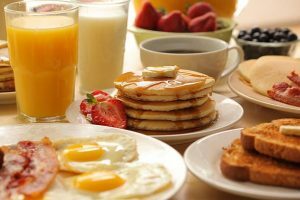 Of course, they also offer classic breakfast options like omelets and skillets, so feel free to come with the whole family! Words to describe this place? Quaint. Homey. Artisan Flare and food made with a love of craft that makes a memorable experience you won’t soon forget. 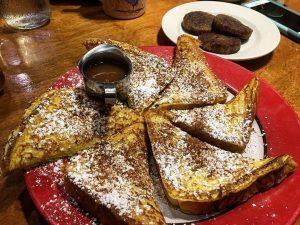 Take a trip to White Oak Flats Coffee Brewhouse in Gatlinburg and make your next breakfast a good one trying some of their sandwiches and awesome coffee. 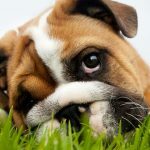 Its outdoor patio is perfect for catching some vitamin E and finish some pending work using the Wireless Internet access available for no charge. Drivers will find parking not far from the restaurant and bike parking is also available outside the restaurant. Stop wasting time, pick your cabin rental and start your amazing mini vacation time!